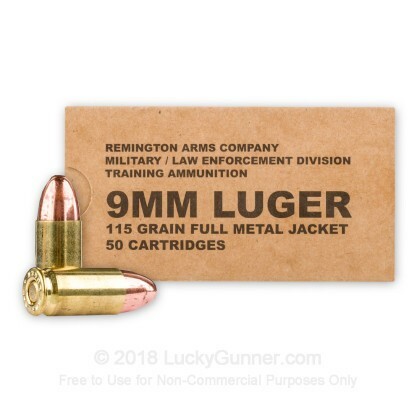 Private shooters, match attendants, and high-volume class participants alike will love this 500-round case of affordable 9mm Luger ammunition. These cartridges comprise non-corrosive Boxer primers affixed to reloadable brass casings which contain dependable, clean-burning powder. Remington tops off the load with a common 115-grain full metal jacket (FMJ) projectile with a round nose which glides smoothly up feed ramps and inserts seamlessly into cylinders. The lightweight profile is common to the 9x19mm and produces light recoil alongside a flat path of travel which is easy to learn and track out to distance. This style of round is great for training both indoors and outdoors on steel, cardboard, and paper targets. 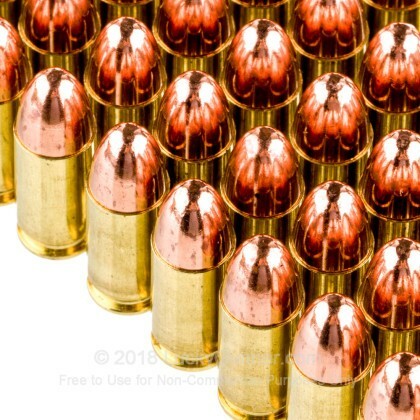 Remington's ammunition is made in Arkansas and supported by over 200 years of experience in manufacturing both ammunition and firearms; in fact, Remington is currently the only major manufacturer to produce both guns and ammo and uses that position to optimize their cartridges for modern use. This particular lot of ammo is part of a production overrun which fulfilled the needs of either military orders or law enforcement contracts. 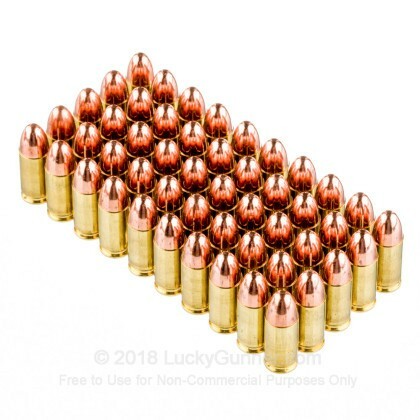 As a result, these excellent 9mm rounds are available to the public and offer great performance in bulk quantities at an inexpensive price. awsome rounds and great price. Ammo runs flawlessly in my VP9SK, but had multiple malfunctions due to the ammo in my Sig P365. Noticed the recoil seemed a little bit less when compared to blazer brass. But I would run this ammo again any time in my VP9SK. I have gone through about 3000 rds in my Glock 17 and Beretta 92fs and not a single issue. I am actually more worried that people will like it as much as i do then wont be availble at this fantasic price. Great price per round and runs fine in my p365 and Legion p229. I've put 550 rounds through the Legion and ~350 through the p365 with no misfires or malfunctions. Both of these weapons are newer (<2000 rounds through each), meaning they are hardly even broken in and are arguably a little more susceptible to malfunctions than some of my tried and true sidearms. 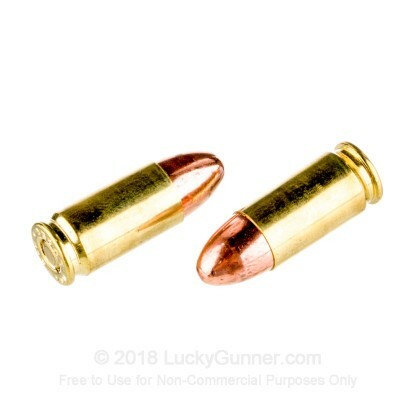 The ammo is not the cleanest, but it is definitely cleaner than any other brass I have found at this price point. If you value your firearms (and life) and genuinely care about advancing your skillset, you should be cleaning your weapon after every trip to the range, especially if you're training with your EDC. 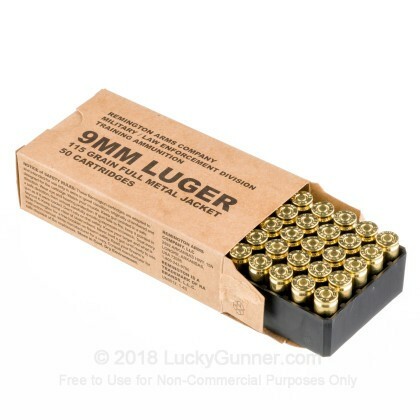 I have no problems recommending this ammo, in fact, I just purchased 2 more boxes. Stay safe out there. Cheers! I have shot 950 rounds so far without any issues in my Beretta 92fs. So far the best price is through lucky gunner. I've shot over 400 of these at a range one day, 1 misfire and 2 stove pipe on my M&P... so 3/400+ = <1% fail rate which is still pretty good in my book. Didn’t have any problems with the ammo, and it arrived on schedule. I know that training ammo is usually a lighter load, but occasionally I have failure to slidelock on empty mag with my XD9 4". No stoppages or accuracy issues to speak of yet after 200 rounds. I'd prefer to shoot "service" rounds that have the same level of recoil as my home defense rounds, but these still do the job nicely. Would definitely buy again. These were the first 50 rounds through my new pistol. No malfunctions and accuracy was sufficient for my needs (30 feet to target). This ammo is accurate and relatively clean to shoot. But about 25% of the rounds from two boxes failed to eject properly from my H&K P30L, possibly from weak or uneven loads. I do not recommend this ammunition unless you are training for misfire immediate action drills. A: Hi John. The muzzle velocity on this round is 1145 fps generating 335 ft/lbs of energy. Q: Do these rounds have crimped primers? A: Yes they do. This ammo is military contract overproduction and part of meeting military specification for ammunition is having a crimped primer pocket. Q: Are these rounds magnetic? A: No part of this round will attract a magnet. The projectile is is copper-washed lead and the casing is brass. We also have this 9mm - 115 Grain FMJ - Remington MIL / LE Contract Overrun - 50 Rounds ammo in stock in a smaller quantity.